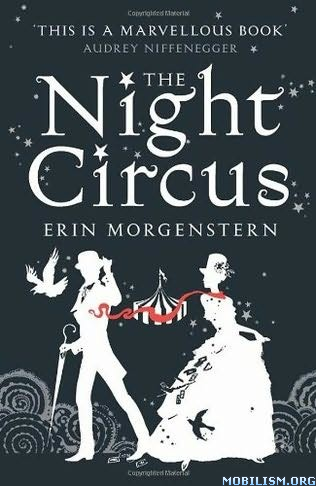 The Night Circus, by Erin Morgenstern, is one of the most-anticipated novels of the year. In it, two highly skilled magicians, Celia and Marco, are unwittingly ensnared into competition with each other. Celia has been raised by her very self-absorbed father to be the greatest magician possible. Marco, an orphan brought up by an emotionally unavailable man, has trained his whole life for the same thing. Their venue? The Night Circus, an incredibly imagined and gorgeously executed idea that they use to share their magical prowess with the world and with each other. But as Celia and Marco become more intrigued by each other, the circus begins to wobble, and the two must choose whether to be together when everything they've worked for may collapse, or to collapse themselves under the strain of the circus itself. Erin Morgenstern was an artist before she was an author, and so her descriptions of The Night Circus are stunning. It's a fully realized and fascinating place. I loved reading about it, but that was one of the few things that I truly loved about this novel. Unlike many, I was not swept away by this book. I read it with one of my best blogging buddies, Zibilee, and chatting with her about the book was so rewarding and really opened up many more doors to interpretation and discussion than I had originally anticipated. Below is the second half of our joint review of this book. Check out Raging Bibliomania for the first half. 3) Do you think that there was a message intended from the author that was hidden in the story? If so, what do you think it was? Aarti: Oh, gosh, I am so bad at these sorts of questions! Um... is it a complete cop-out if I say no? :-) In a way, I feel like the author had a message about camaraderie, and the power that sharing an experience can have to create bonds between people. But sometimes those bonds can be really wonderful, as with the Reveler circus followers, who were such a tight-knit community. But sometimes, the bonds can become... well, binding, as in the case of all the circus performers who didn’t know what they were getting into. Heather: I liked your answer! I think there were definitely messages that had to do with freewill and subservience, and certain ideas of exploitation and abuse of power were explored as well. Another message that I got from this book was the idea that as much as we try to control and order our lives, there are some things that end up being entirely out of our hands, which can be wonderful at times, but also scary. This last message is mostly what I picked up from the conclusion of the book, and also from the eventual fates of some of the people who were tied to the circus. 4) My favorite part of this book were all the very vivid descriptions of the tents and other attractions at the Night Circus. What part of the Night Circus would you most like to see and experience for yourself? Aarti: I think I am biased because one of my favorite characters was the clockmaker, but I would LOVE to see the clock, with all the intricate pieces moving together and creating a masterpiece. I don’t have the book with me here, or I’d insert a description- but I think it would be a beautiful sight to behold, somewhat like the famous clock that is in Prague. Heather: I would love to spend ten minutes in the tent that held all the little bottles with the essences and smells trapped inside of them. There was something so magical about that section of the book, and when I was reading those bits, I was playing games with myself about what kinds of things I would put in those bottles. That tent fueled a lot of daydreaming on my part! 5) What emotion do you associate with this book, either because of the plot, the characters, the circus itself or the themes that presented themselves? Aarti: I associate a sort of fatalistic melancholy with the book, if that makes any sense. The whole book had a sense of inevitability about it, with two magicians who fall in love and are doomed to combat each other. Obviously, that aspect of the story gives it a significant amount of melancholy! But it seemed like everyone just did what they were told, as though it were written in the stars, even though none of them was particularly happy. It was interesting to me that all the circus attendees thought the Night Circus was a beautiful, glorious wonderful thing, but those that worked in and with the circus thought it was exhausting and sinister, which contributed to my overall feeling of melancholy with this book. Heather: I also got a feeling of melancholy, and I agree with your statement about the futility as well. It was such a layered and interesting book, but for all its imagination, it was also very sad, and certain scenes between the older magicians and the younger ones made me very upset. There was a lot of emotion in this book, and though some of it was exciting and revealing and creative, a lot of it was sobering and reflective and sad. When we were discussing this book, you brought up a lot of things that reinforced the feelings of pensiveness and even tragedy in some cases. Note: This review is based on advanced readers' copies. Heather and I both received copies of this book for free to review. I loved reading your thoughts! I don't think I'd read anything but enthusiastic reviews of this so far, so Aarti's perspective was refreshing. I might end up loving it too, but curbing my expectations a little bit will be useful. And as I'm a character-oriented reader myself, it's good to know in advance that I shouldn't expect that here. Well you already know that I thought the all the characters, from the main ones to the extras, were far more developed than normal, and that I adored this book against all my expectations. I do think it's interesting that you thought Chandresh was in love with Marco! I didn't see that at all - actually I saw Chandresh as a pretty sinister character for a long time, part of the grey man's manipulation of Marco. I didn't feel sorry for him at all until near the end. Interesting what different things we see. Ana - Yes, I really didn't think it was all that great ;-) I think the setting and descriptions were great, but I didn't think the story was all that original or the characters had much depth at all. Amanda - Yes, I am not surprised as we often seem to have the exact opposite reactions to books! I am pretty sure it was mentioned in the book, though, that Marco used his magic to make Chandresh love him so that he could get the job. I really got so much more out of this book having had you to discuss it with. I don't think I would have ever even considered the fact that I was sort of superimposing a lot of my own ideas and emotions on to the characters had we not discussed this book so deeply. We had a lot of great discussions on this one! I really enjoyed reading your joint thoughts on this book, which I'm close to finishing. I'm loving it so far -- more for the magic and the fantasy than the characters, but I do enjoy them, too. I loved your discussion of this book! I never notice messages, either...I'm a bit dense when it comes to messages and theme and symbolism. I'm about 20% into this book but I think I'm going to put it aside for now. I'm still not captivated by it though the descriptions of the circus are truly excellent. I find that the main character is the circus and all the other characters are just supporting players revolving around this circus. I think that's why it hasn't captivated me yet. I loved reading your guys' conversation! Zibilee - I definitely think I appreciated the book more after talking with you about it. It really does have some great descriptive passages in it, but I didn't fall for it the way so many have. Anna - I'm glad you're loving it! The magic is pretty impressive. Mrs. B - I'm glad I'm not the only one who wasn't captivated! I think you're right about the main character being the circus. I just finished the book today. The last question about the sadness inherent in the book is interesting. I couldn't help but think through much of the narrative that in addition to the melancholy, there was an overarching eerieness that was very unsettling -- particularly in the persona of the contortionist. Great discussion, even if this one wasn't a homerun for you, Aarti. I also loved the portion with all of the bottles. I could never decide what to put in my bottle. I am glad I read this before all the reviews started, but I can also understand people not loving this book. It only makes sense for people to see things from many different perspectives. I really appreciate how y'all shared your conversation & thoughts about the book! I found it to be an extreme melancholic read && even depressing at times. Yes, the magic was, well, truly magical, but the darkness that was just below the surface made this a dark book to read. That was an interesting question about if the author wanted us to take away anything from the book.....the depravity of man? Fantastic discussion format - I especially liked that you had different opinions of the book overall. Sometimes the same old "yeah, I loved it, too" doesn't add to the exploration of a book. I was much more taken with it (like Heather), but, like you, would most like to meet Herr Thiessen and see his clocks. Great post - specially as I really want to read this book (when will the self-inflicted book-buying ban end?! ), and it's good to get a couple of opinions on the same question. Sorry to hear you didn't think it was all that, but at least it wasn't a complete lost cause as there were parts of the book that you appreciated?! Great review! love the insights. This will help me when we discuss at book club. I have heard a few others are struggling or are just not 'captivated' so I'm sure we will have a spirited talk.